My favorite holiday in America is Thanksgiving. People reflect on good things, they eat, they're happy, they eat, they actually seem grateful for once, they eat, the family gets together and remembers good times, they eat.... and there is food. Loads and loads of wonderful food. Thanksgiving is basically the American version of Feast of Tabernacles. So you might be able to guess which Feast of the LORD is my favorite now. Maybe William Bradford and the pilgrims got the idea of Thanksgiving from Feast of Tabernacles? 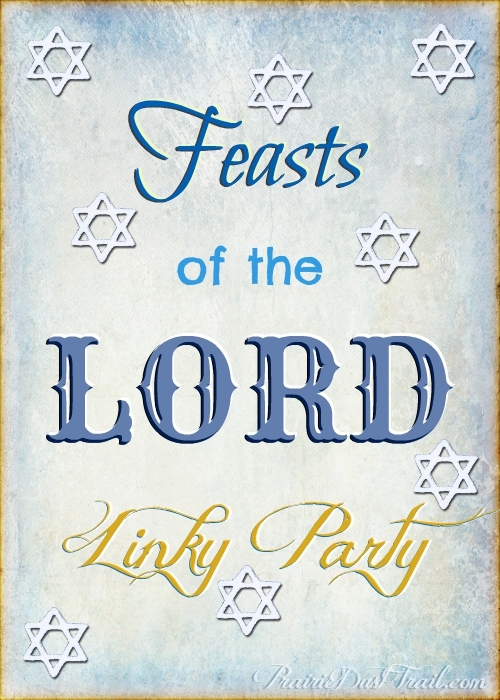 You might have been celebrating a Jewish based feast since childhood and never knew it! Feast of Tabernacles is honestly one of the funnest feasts to celebrate! You basically camp out in a home-made tent for a week, harvest some Fall produce, and eat, and rejoice, and eat again. A "tabernacle" is traditionally made out of stuff that grows out of the ground... so there is a broad spectrum of materials to choose from. It is meant to be a quick-throw-together kind of project, so you don't put a lot of effort into it, but you make sure it is sturdy enough to last 8 days and keep you out of the weather, basically. I've seen some folk build very basic booths out of corn-stalks and tree branches. Others get really fancy and do a nice bamboo roof and use clothe and tapestries for the walls, and even put rugs on the floor. Some take the smart route and just use trellis and, like, staple it all together around their picnic table (thumbs up). As a fun project, I asked the kids to help me make a video of our doggies building themselves booths and staying in them to "celebrate" Feast of Tabernacles. Well.... the dogs didn't actually build their booths. They wouldn't cooperate. So the kids and I built them, then the dogs reaped the benefits of our hard work by sitting in them for a few seconds while I videoed it and made them look cute and awesome. The kids thought it would be fun if we took the "Three Little Pigs" approach with the video, so that's what we did (even though bricks aren't technically the proper material to build a sukkah with).